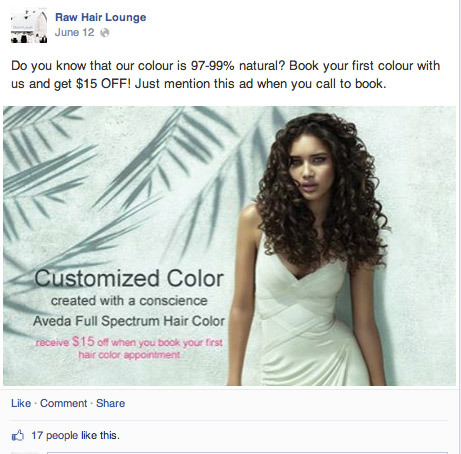 Are you looking to market your beauty or hair salon on social media? Or are you not getting the results you want and need a boost? Social media is a great way to engage with your current and potential customers, spread more awareness about your services, and create brand loyalty among customers by reinforcing what makes your salon unique. With the increasing use of social media in every industry, it’s crucial that businesses know how to connect with customers and use platforms like Facebook, Twitter and Instagram in a way that customers will enjoy and that will benefit your business. 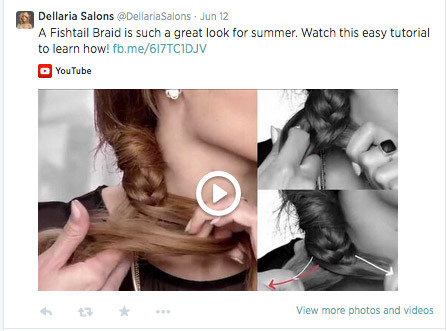 Below, we've listed 21 tips to transform your salon’s social media strategy. Social media posts should entice your customers to crave more interaction and communication. Your content needs to be engaging and interesting to those who are going to read it and should provide them with some new source of information. Post facts, information or photos that your target audience would find appealing and that are in line with your brand image. For example, if your hair salon has a young, fun, modern feel, your posts should match this tone. On the other hand if your brand has more of a vintage, old school theme you may consider posting pictures that follow this idea or tweet about how your business is for the woman that loves classic beauty. You should post pictures that your demographic will respond to and react to in a positive way. All pictures, captions or tweets should match the tone of your brand and be in line with your target age group. Before you post anything on social media, make sure it is something you feel your customer would want to talk about or be interested in. Salons should post content such as hair and beauty tips or the latest how-to guides or engaging content related to your business that is available in a short, easy to read format. Examples would be an intriguing photo with a simple caption, a short list of beauty tips, a fun beauty vine video or an infographic. These types of content are interactive and appealing to your target audience. Facebook provides the perfect way for you to share your services, post photos of your unique nail art or create contests or giveaways to promote brand loyalty and spread awareness of your brand. 1. Write relevant posts that engage consumers - Write posts that customers want to respond to and will enjoy giving their opinion on. An example of this would be to ask questions like “Summer has officially begun! 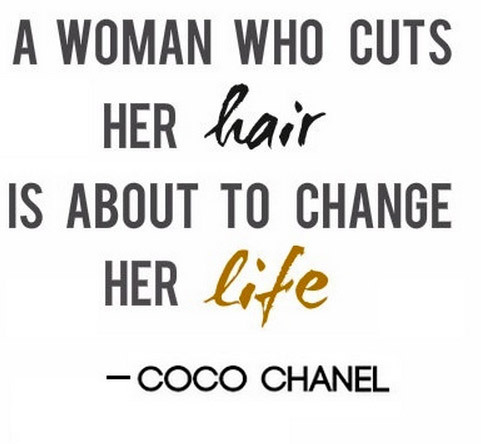 What will be your summer hair cut of choice?” This type of conversation starter is relevant, personalized, and something that majority of salon-goers would enjoy discussing. 2. Post pictures, and lots of them! - One of the best ways businesses can use Facebook is as a visual medium. 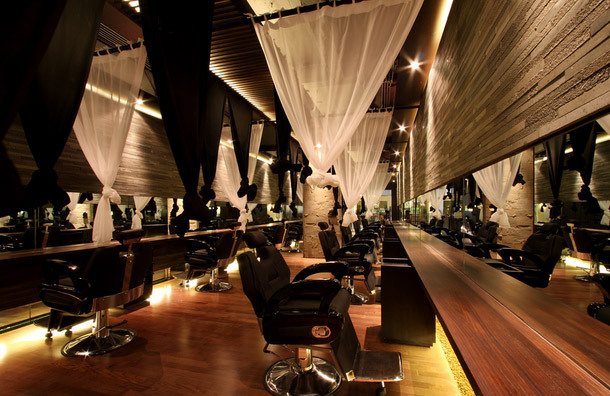 Your salon should be showcasing the work that it is most proud of. Whether that be fun holiday-themed manicures or gorgeous bridal party hairstyles, pictures provide an outlet to show what you can do. As a bonus, pictures are engaged with more than text-only posts, in fact 120% more , therefore these can also help to bring new referrals through your front doors as your current customers share the photo with their own personal networks. 3. Treat your Facebook Page as a miniature website - When customers arrive on your Facebook page they should be able to find all of the information they may be looking for. 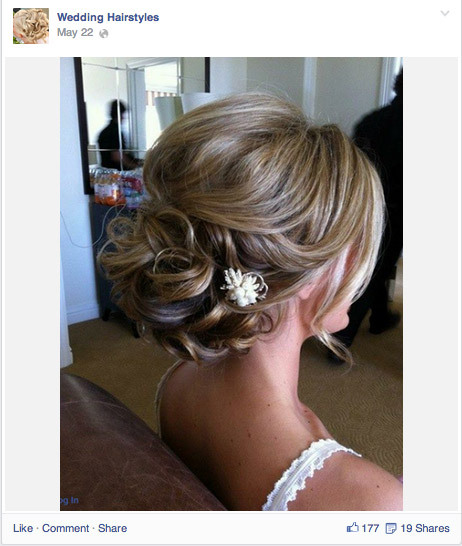 Use the various Facebook tabs to show your salon locations, services, photos and reviews. 4. Engage customers through Facebook contests and giveaways - In general, people love free stuff. Whether that be a $50 gift card to your beauty salon or a discount on a beauty package for Mother’s day as seen in the picture below, your customers will love the ease of being able to enter or receive the promotion while on Facebook. Also, they will likely comment on the contest page post or share it to their own Facebook friends, creating more awareness for your business. 5. Provide Facebook Fans with exclusive deals - When Liking a business on Facebook, customers like to feel as though they’re getting something special in return. You can entice them to like you on Facebook by offering 10% off their next visit or by sharing the Page on Facebook to receive a gift with their next purchase. 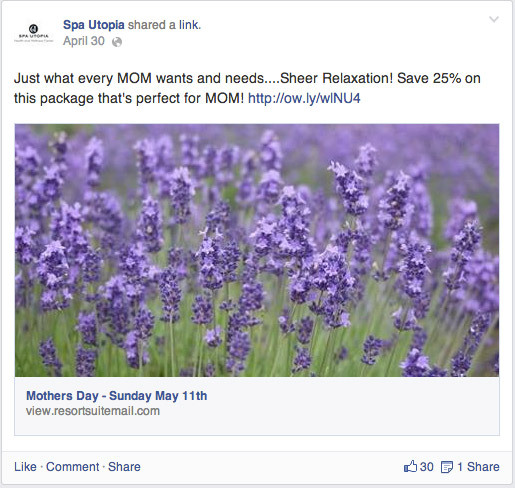 In addition, you can provide discounts to Facebook Fans which are only redeemable by mentioning the specific Facebook Ad, as seen in the example below. By knowing that these offers are only to Facebook Fans, customers will want to follow your Page more closely and will likely tell their friends when they do score an exclusive deal. 6. Target your Ads - Use Facebook Ads to their full ability through targeting. You may want to only target people located close to your salon, or those who like related Facebook Pages. An example would be those who like Aveda Canada who would likely want to try your nearby hair salon that uses Aveda products. With over 200 million users in just 4 years, Instagram is the newest member of the core social media family. Pictures are a great way to market your salon and show a wide variety of your work as well as fun, quirky photos that follow your brand’s theme. 1. Stay on trend - Use trending hashtags to draw more users to your Instagram profile and to find out about your salon. 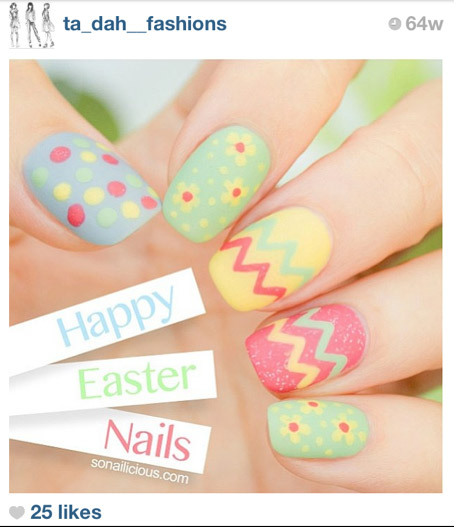 An example would be to use #happyeaster as one hashtag to gain more views while showing a picture of a holiday themed manicure and showcasing the salon’s services. 2. Use geography to your advantage - Use hashtags to point out your location. That way future customers looking for a salon nearby may stumble upon your photo and your salon. For example if you own a hair salon in the Yorkville district of Toronto you may follow your other hashtags and caption with #Yorkville and #Toronto, so that those looking for a haircut that day can locate your business quickly. 3. Use before and after pictures to showcase your stylists’ talent - Reviews and testimonials don’t need to just be a text post when it comes to social media. 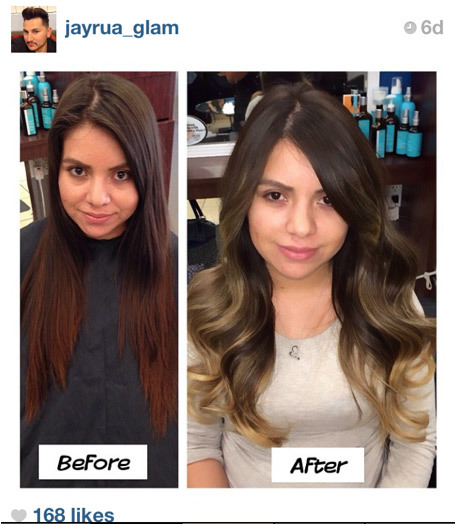 Use Instagram to show results in your salon. Before and after pictures show transformation and can grab users’ attention. 4. Be fun and quirky - Instagram users tend to be young and on trend, and enjoy fun, quirky posts in addition to just product or service-related posts. Once in a while a feel good post can engage your customers and you can use specific quotes or pictures that you feel defines your brand. 5. Do exclusive Instagram contests - One great aspect of Instagram is that you can have contests that involve user-generated content. Hold photo contests among your Followers, such as “Post a picture of your new summer manicure with the hashtag #Ontrendnailsalon and be entered to win your next manicure for free!” These engage customers and are easy for customers to participate in by simply uploading a picture and including the proper hashtag. If you have always wondered how to get more followers on Instagram, you will find out that a contest is one of the best solutions. 6. Post promotions on Instagram - Post promotional photos on Instagram so that customers are always aware of new things going on at your salon. An example would be to post a picture of a child with writing saying “Back to School Special: 30% off all kids haircuts from now until September 5th.” This informs customers about the promotion or acts as a reminder to those who may have heard about it in the past. You can also make the promotion Instagram-exclusive by telling customers that they have to show that picture in the salon to receive the promotion discount. 1. Use Twitter as an information source about your services - Post information about a specific service with a link to your website where customers can get more information. 2. Exclusive Twitter offers - Have exclusive offers through your Twitter account, just for Twitter Followers. This will provide incentives for people to follow your business on Twitter, build your following or create more loyalty among customers. 5. Use Twitter hashtags - Twitter is where hashtags were originally created, so use them on Twitter as well as Instagram. Insert hashtags at the end of updates, as a way to make contest posts unique or to tag a specific geographic location such as #Vancouver, #Brooklyn, or #LosAngeles. 6. Be a timely Tweeter - Think about when customers check their Twitter feeds and tweet accordingly. Most of the time posting about hair promotions in the middle of a weekday day won’t be as effective as posting in the evenings, early morning, or weekend when customers will have time to see the post and call and make an appointment. These 21 tips and strategies will allow your salon to gain new customers, retain those customers through brand loyalty, and create an interactive relationship with Followers. Hopefully this post has introduced you to some new tactics and will help you utilize social media to its fullest ability for marketing your salon. Want to really boost your social media engagement? Wishpond's Facebook Contest Apps make it easy to create sweepstakes, photo contests, Instagram hashtag contests & more.